One of my New Year's resolution was to explore the beauty of my current city, Vancouver, B.C. Seeing that it is the off-season of weddings, I have ample time to capitalize on my resolution. 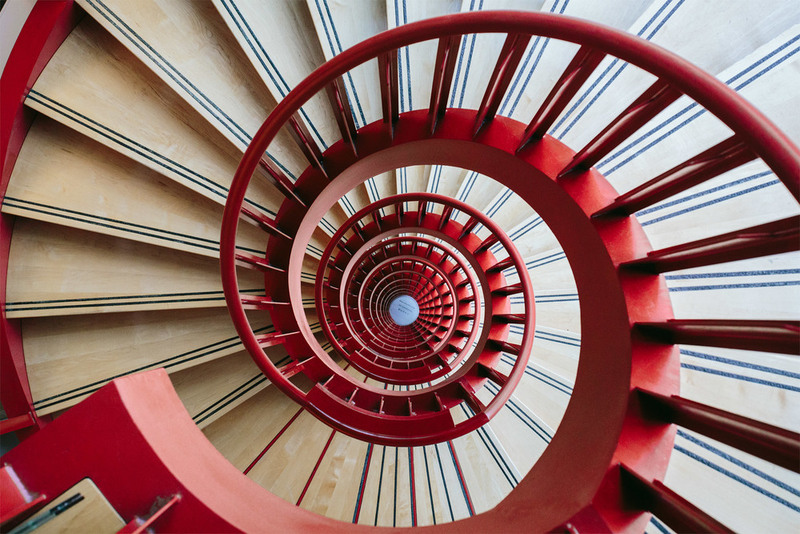 From seeing images of a red spiral staircase online, I wanted to check it out in person. Little did I know that it was inaccessible to the public without specific clearance. Fortunately, I was allowed short access and snapped a shot of this marvellous tight staircase resembling an oversized DNA spiral. DNA Spiral Staircase located at BC Cancer Agency Research, Vancouver, B.C.